So I reverted back to my childhood this week. 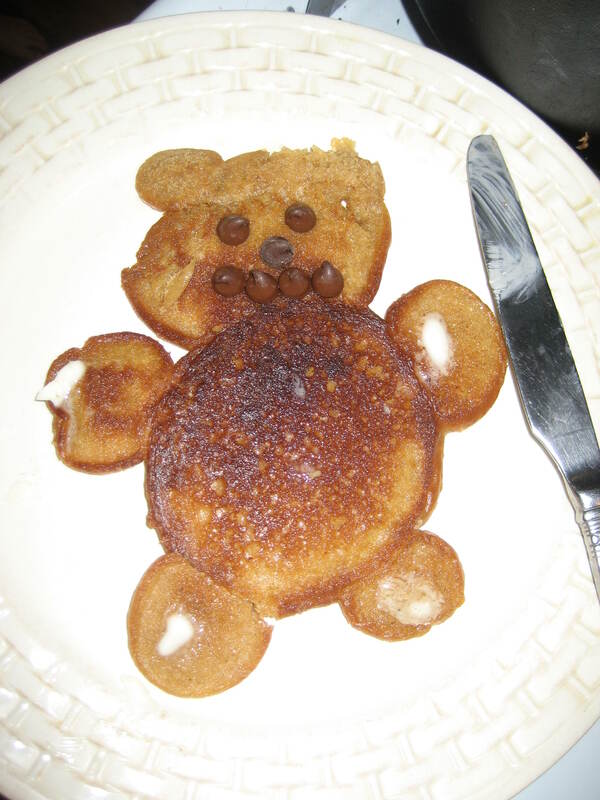 I woke up one morning thinking about how my mom used to make us teddy-bear pancakes. She would pour the batter in such a way as to create a tummy, head with ears, and arms and legs. 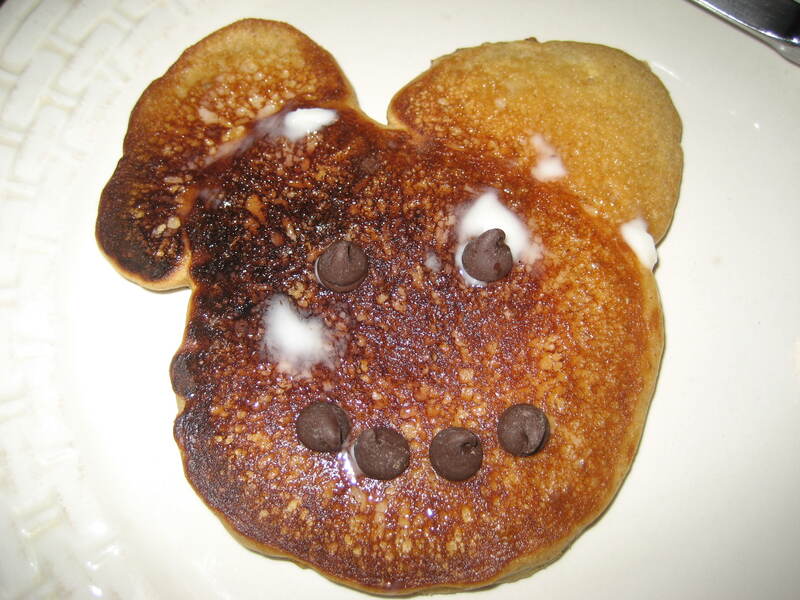 She decorated the face of our pancakes with raisins for eyes and mouth. I don’t much like raisins, so I gave into temptation and used chocolate chips instead. Not the healthier choice I admit. But tasty. Growing up we always had such fun eating him in pieces. And I got to watch my kids do the same thing. “Oh no, I’m eating his leg. He doesn’t have any legs.” “Uh-oh, I ate his ears.” Such fun. I remember my brothers and I doing the exact same thing. 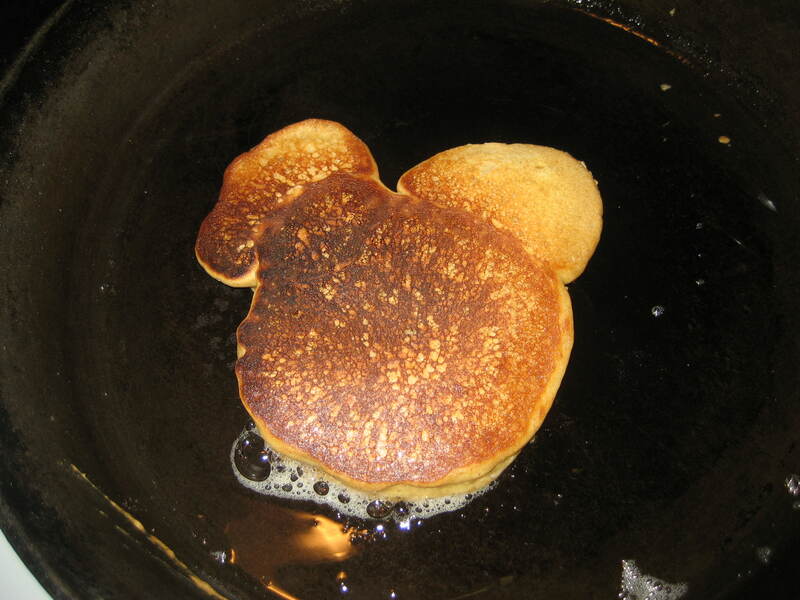 And in the midst of cooking teddy bears my two-year-old, who has a thing for Mickey Mouse at the moment asked for a “Miss Mouse” pancake as she calls it. So we made a few of those too (pictured). 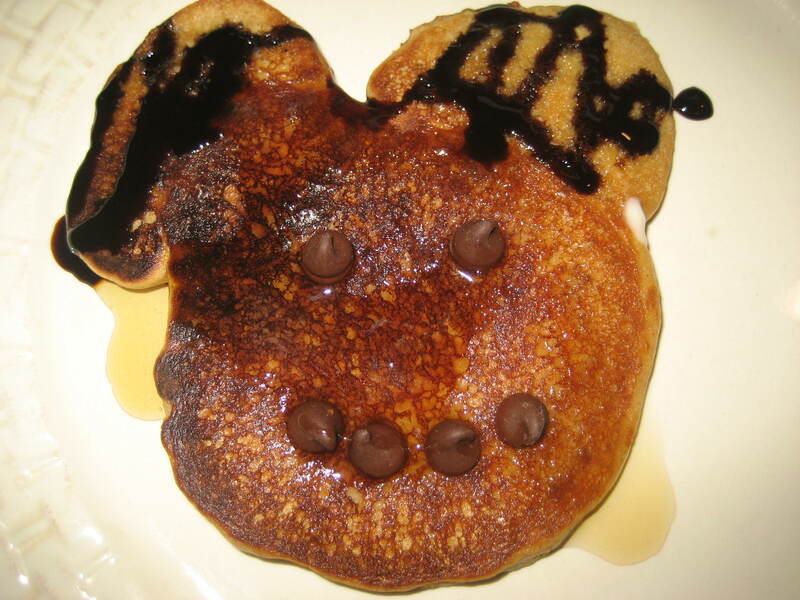 I have an allergy friendly pancake recipe which is gluten, dairy, egg-white, soy and nut free. Or if you don’t have any food restrictions you can just substitute 3 cups of your favorite wheat or spelt flour for the flours listed, use 2-3 whole eggs (rather than yolks) and use regular cow’s milk in place of the milk suggested. Teddy bears sure do make for a yummy breakfast. Cooking in the cast-iron skillet. Molasses ears and a messy maple syrup face. 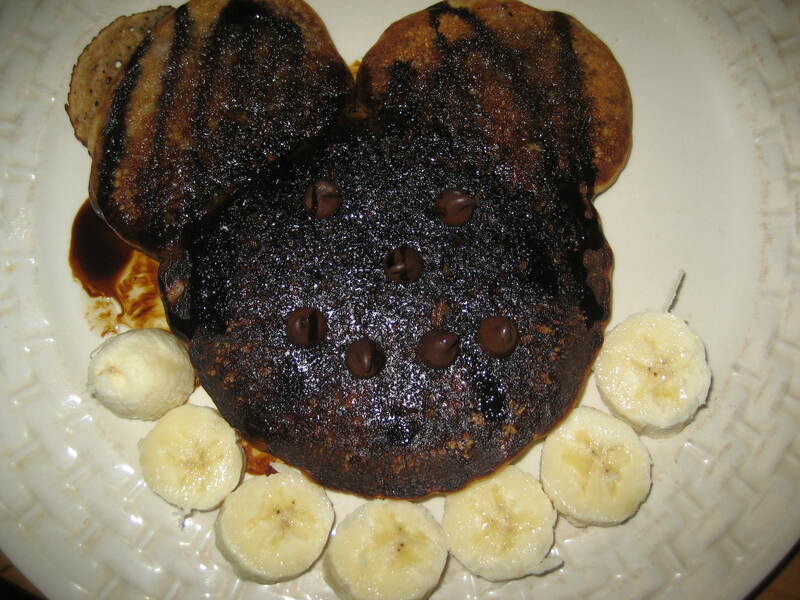 This entry was posted in Allergy Friendly Food, Articles, Food, Kids, Recipes. Bookmark the permalink. ← Eggs, butter, bacon…To eat or not to eat? That is the question.